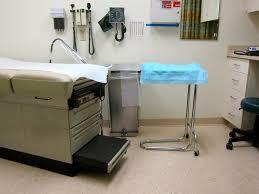 In an examination room, a person touches a surface, leaving bacteria or viruses behind. Later, another person touches that surface, acquiring the germs. MTO Janitorial talks about the importance of disinfecting your Prescott medical office. Your medical office cleaning plan must be in line with all CDC, AORN, Joint Commission, and OSHA standards. Those who clean your medical office need to be familiar with these standards. If you have cleaners on-staff, make sure they are properly trained in these areas. If you’re hiring cleaners, make sure they demonstrate that they are knowledgeable of all applicable regulations. Genuine medical-grade disinfectants need to meet exacting standards for sterilization. Effective disinfection agents will sterilize on contact, and eliminate upwards of 99.99% of microorganisms. Studies have found that checklist-based cleaning systems lead to more thorough and more effective disinfection practices. These systems can be further enhanced by regular inspections of cleanings. Inspections will hold cleaners accountable and ensure corrective action is taken if shortcomings are ever identified. Effective surface sterilization depends not only on the disinfectant used but also on the materials and equipment used in medical office cleaning and disinfection. Using the right equipment will ensure that disinfectants reach even the toughest-to-clean areas. As we enter the winter season, MTO Janitorial hopes this reminder about the importance of disinfecting your Prescott medical office is helpful to you. MTO Janitorial will clean and sanitize your medical office with complete regulatory compliance and safety. MTO Janitorial is the perfect solution for your Prescott business of any kind, whether for commercial floor cleaning, general maintenance, or thorough sanitizing. Please call us today for a free estimate at 928-772-0004.